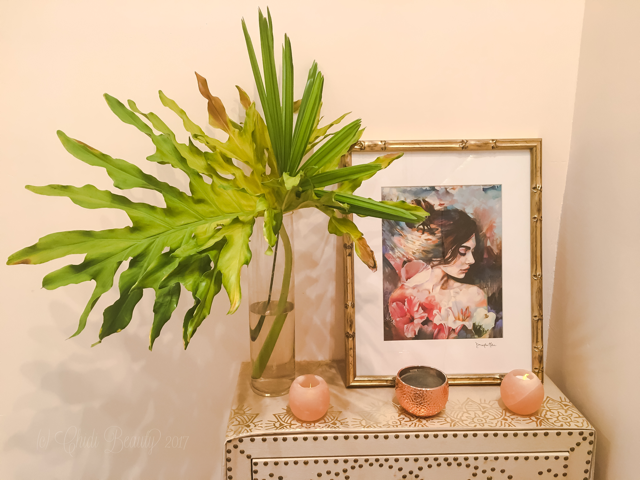 Green beauty purists – this post is not for you. 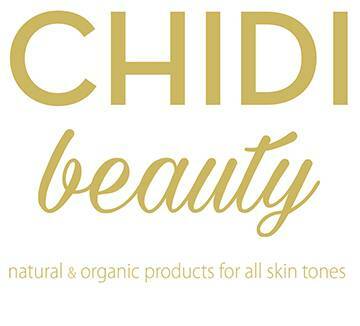 While this blog is mainly a way to share my thoughts and experiences with clean beauty, particularly skincare, I also like to keep things real – especially when it comes to brown skin beauty. 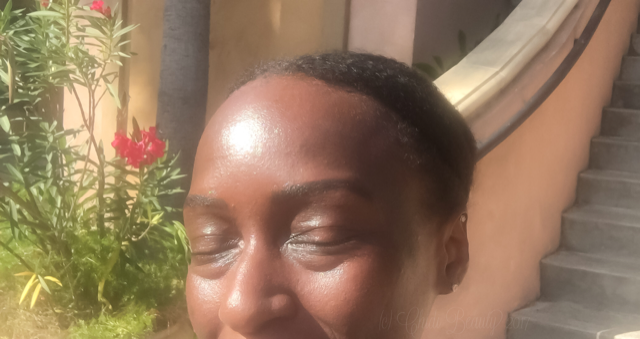 This post is not so much about green beauty as it is about sharing my microblading experience with other brown beauties interested in the procedure, whether you are a clean beauty aficionado or not. I have come across the question on social media more than once – does safe, clean microblading exist? Today, the answer to that question seems to be an unfortunate ‘no.’ Hopefully that will change in the future, especially since there is an obvious interest in microblading among the green beauty community. Why has no product has been created to meet this demand? As of the date of publication for this post I have been unable to find any verifiable information about the existence of a clean tattoo ink that can be used for microblading. There are certain pigment manufacturers that claim their products are non-toxic. But without seeing an ingredients list I cannot agree. 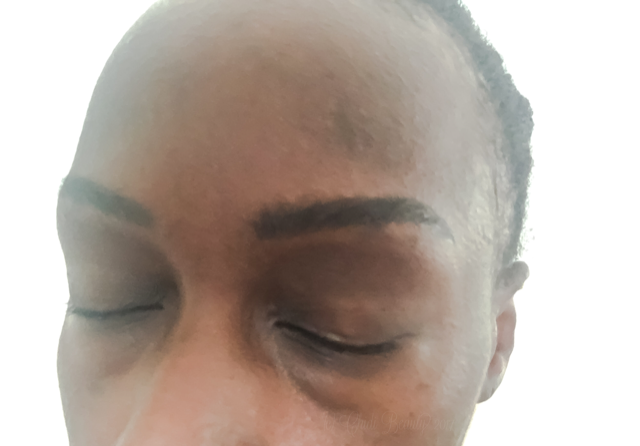 Nonetheless, I decided to share my microblading experience – even though there is nothing clean about it. Why? Because it might be helpful to other women of colour considering microblading. So for those of you who are curious – let’s begin! We all have insecurities – whether we like to admit it or not. Our insecurity might be some aspect of our appearance, our intellect, our finances, our accomplishments or lack thereof, our personality or otherwise. Any aspect of life is fair game. It is the rare person who cannot identify some aspect of his or her being or life that could be better. When it comes to my own insecurities, I do what I can to improve what is improvable, including taking my health and self-care seriously. While no insecurity of mine is so bothersome that I have felt the need to resort to what I consider drastic measures, like surgery, my most persistent source of insecurity has been gradually worsening for many years now: my eyebrows. The 2000s were unkind to my eyebrows. In high school, I had bushy, ill-defined brows. They were nice and thick, but the shape left much to be desired. Shortly after graduation I discovered eyebrow waxing, and life changed for the better. Tweezing and eventually threading followed, allowing me to enjoy many years of nicely groomed brows, interspersed with the occasional mishap: a slight burn from wax that was too hot, overly thin eyebrows and poor shaping. I have experienced it all. Fast forward several years later and I had to make a conscious decision to stop waxing my eyebrows altogether for fear that there would soon be nothing left. Despite this decision my eyebrows would not return to their youthful, bushy glory. In fact, despite castor oil massages and remaining untouched for long periods of time it seems as if they continued to become more and more sparse. My disappearing eyebrows did not stop me from living life in any way whatsoever, and they did not cause me mental distress or any serious problems. But I hated them. And I dreaded taking pictures unless they were filled in – otherwise in the photo it would look like I had no eyebrows. As a result, I was at the mercy of estheticians. In the occasional event when I had my eyebrows waxed or threaded in recent years, it was always a roll of the dice. Estheticians would either shape my brows perfectly or horribly. There was no in between. And a good experience with an esthetician during one visit did not guaranty a good experience with the same esthetician during a follow-up visit. 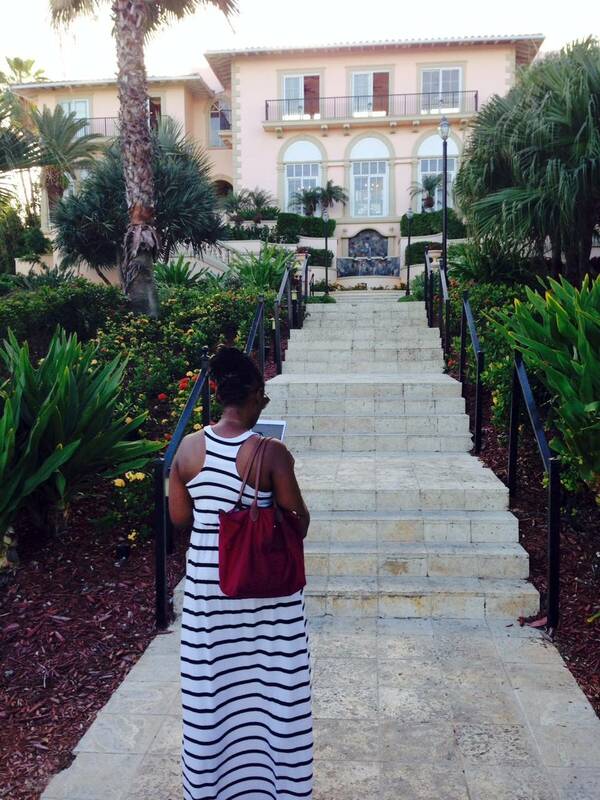 One experience that occurred just last year stands out in my mind. Immediately after arriving in New York, I took an Uber straight from the airport to a brow bar in Chelsea, Manhattan for waxing and a tint. I had previously had the same service done at the Chicago location of the same brow bar and my eyebrows had never looked better. This location had received great reviews on-line, but after my experience it shall remain nameless. Anyway, having just flown into the city I was headed to my hotel to change, then straight to an event. Because of this tight schedule I asked to have the tint left on for a shorter period of time than normal, and to return the following day for a touchup so that my brows would not look overly harsh during the event. Thankfully, the esthetician complied. She waxed and briefly tinted my brows, then I was happily on my way. When I returned the following day, she did not quite remember me, which is understandable in a busy New York brow bar. I reminded her of our conversation the day prior, and she graciously honored her promise. But when I sat down in her chair she asked me if I needed my eyebrows shaped as well. Huh?!?! I politely declined without mentioning that she had personally shaped them the day before. 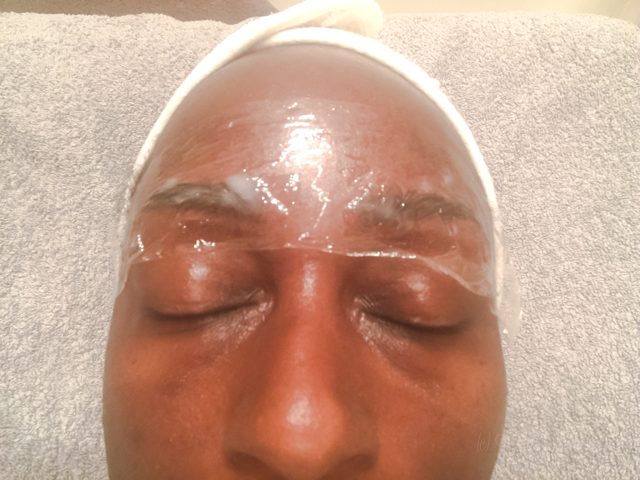 Needless to say I was ecstatic when I learned that there is a salon where I live that does microblading – and has lots of experience microblading brown skin of various tones. Microblading has emerged as the new kid on the block in terms of long-term fixes for sparse and ailing brows. Microblading “is the manual process of introducing semi-permanent makeup, in the form of coloures pigments, to mimic hair on the eyebrows.” It involves making small hair-like cuts in the skin underneath the eyebrow, and then filling those cuts with dye. The result lasts anywhere from one to three years, with skin type, skincare products, lifestyle and environmental factors all helping to determine how long your microbladed eyebrows will actually last. Our skin is comprised of three layers, the epidermis, dermis and subcutaneous tissue. Microblading differs from eyebrow tattooing because microblading only penetrates the top three (3) layers of the epidermis, making it less permenant and allowing for precise hair strokes. Tattoo needles, on the other hand, penetrate through to the dermis. Permanant makeup has been around for thousands of years. However, eyebrow tattooing has never interested me for numerous reasons, first and foremost being that until recently it uniformly looked horrible on everyone. I have never seen someone with tattooed eyebrows that look good. Have you? Usually, tattooed brows look like they were drawn with a sharpie, right down to the horrible black-gray colour. If you have seen tattooed brows that look good please drop a picture in the comments section below, I’d love to see them. Anyhow, I digress. Almost everything you will read about microblading says it is semi-permenant, but be warned; microblading is considered to be a form of permenant makeup by industry professionals. Though it supposedly completely fades away, without changing colour. So I decided to give it a try. I researched microblading and watched YouTube videos made by other women who had had their eyebrows microbladed. Then I obsessively reviewed all of the before and after photos from the salon I planned to go to. The difference was phenomenal. All of the “after” photos looked great. 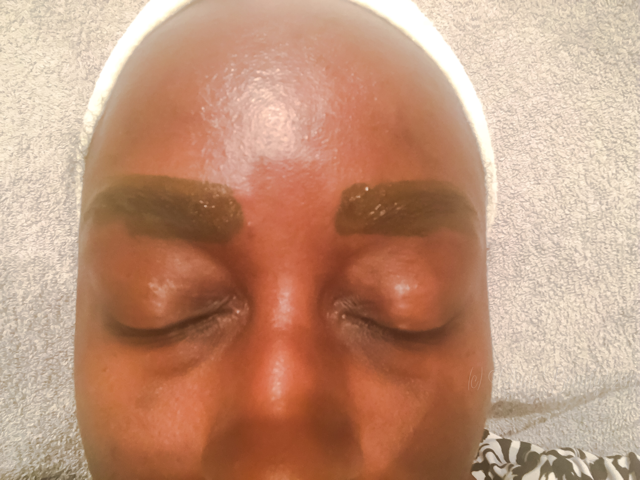 And there were many photos of black women who had had their eyebrows micro bladed, which was essential as I wanted an expert with prior experience microblading African American skin. I did not like all of them, but that was not because of the quality of the work, but rather a matter of my personal taste in brows. I found out that one person responsible for all of those gorgeous brows: JeT’aime Cerge-Grant, head of the Glam Squad and owner of Sugar and Spice Salon at Yacht Haven Grande on St. Thomas, U.S. Virgin Islands. 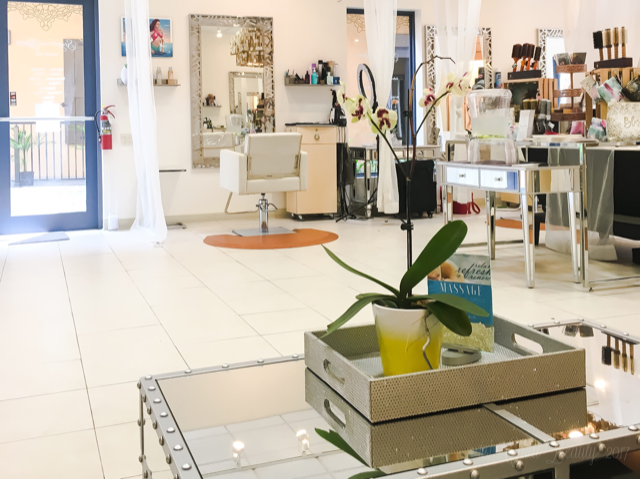 Sugar and Spice is the preeminent high-end salon on St. Thomas, and typically does hair and makeup for brides, bridal parties, pageant contestants, photo shoots and more. The salon announced a promotion in February 2017, offering a discounted rate on their microblading services for the entire month, which was amazing because I always love a discount, but would not go to a “cheap” salon for my microblading service. 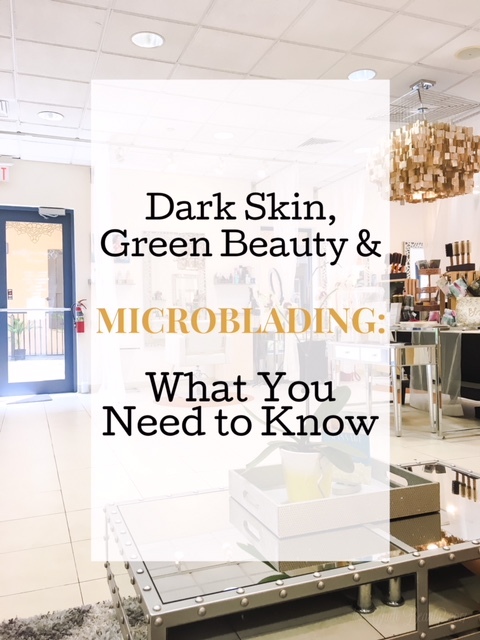 This is important considering the risks of microblading, which are many, especially if you have an underlying skin condition. I called Sugar and Spice the day after the promotion was announced to schedule an appointment, and was told that JeT’aime was already completely booked for the entire month of February. Wow. Charlene, the lovely receptionist was very encouraging though, and offered to put my name on a wait list. Disappointed and lacking other options, I agreed to sign up for the wait list. Much to my surprise, a mere two weeks later the salon had a cancellation and I was in. Yay! On the day of my appointment I showed up a few minutes early, or maybe I was on time, which just seemed early to me. Anyhow, JeT’aime and her staff a/k/a the Glam Squad, were all nice, polite and very welcoming. I completed some paperwork, then JeT’aime discussed the preliminaries with me and answered all of my questions. Next, she matched the ink to the colour of my natural brows. She took some “before” photos, mapped my brows and discussed their shape. JeT’aime then waxed the hairs that were outside the outline she had drawn. She did not wax off my entire eyebrows, but only removed the unwanted hairs like any esthetician would do during a normal brow waxing session. 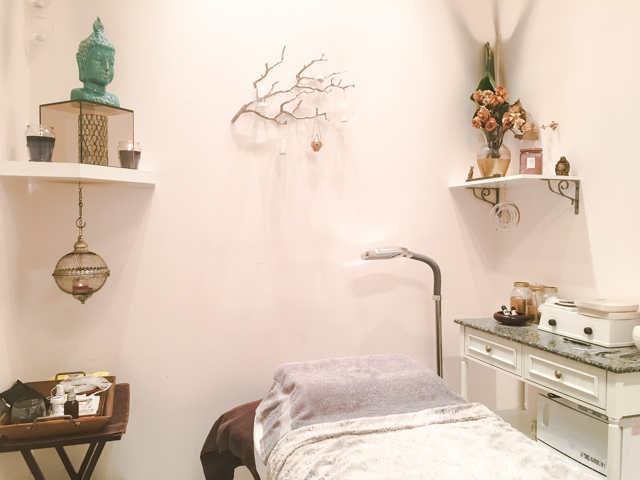 We then moved into the salon’s treatment room where the rest of the microblading procedure would take place. JeT’aime applied numbing cream to my eyebrows and allowed it to sit for thirty (30) minutes. The treatment room we were in was so comfortable and relaxing that I actually dozed off for a few minutes. Once thirty (30) minutes had passed, JeT’aime returned and we were ready to begin the actual microblading. A small word of caution because I care about you: take painkillers before getting your eyebrows microbladed. Yes, Aspirin and other blood thinning medications are to be avoided before microblading. But there are other painkillers on the market. Take them! Any of them. Whatever you normally prefer, just take something. I didn’t take any painkillers before my initial appointment and guess what? That was a big mistake. Maybe l have low pain tolerance after living more than three decades with Sickle Cell Anemia, but the numbing cream was not enough. Whatever you do, do not get microblading done without taking painkillers first. The microblading began and I was fine. JeT’aime used a tiny precision tool, the microblade, to carve out the shape of individual hair strokes underneath my existing but sparse eyebrow hairs. JeT’aime asked me how I felt and I didn’t have any complaints. Then a few slices in she asks again, and oh boy was my answer different. In between my fists I was clenching a beautiful, fluffy blanket that she had in her treatment room – I was sincerely afraid that I would rip it in half. JaT’aime said that I am one of the few people who felt more than slight discomfort. But just in case you are also one of those people you can’t say I didn’t warn you: the pain was no joke. The sound of her carving the shape of my brows and the faint smell of my own blood were also unpleasant. Kind of like getting a filling at the dentist. But it is the pain that made the second half of my two-hour appointment feel more like fifteen hours. Aside from the actual slicing open of my skin, the process was not bad at all. Once she was finished creating the shape of my brows, JeT’aime covered them with ink and Saran-wrapped them. She then left the room to allow me to cry in private the ink to absorb for a few minutes. After allowing the ink time to absorb into my skin JeT’aime returned. She removed the Saran Wrap, wiped off the excess ink and gave me my first look at my microbladed brows. They were great! A brief (and painful) touchup later and I was finished. JeT’aime suggested scheduling an appointment in two to three months for a touch-up. 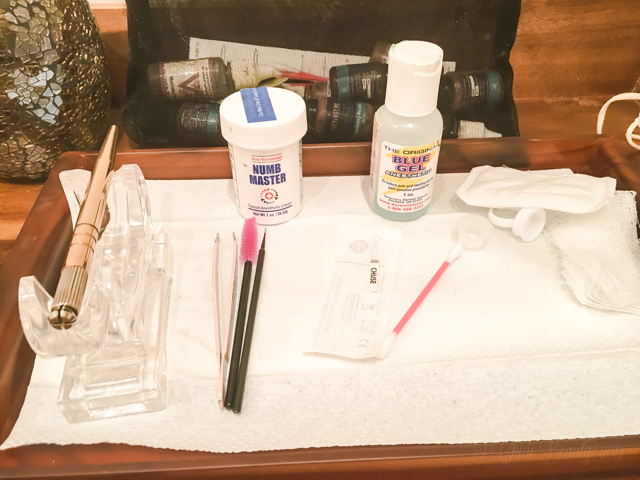 We went back to JeT’aime’s stylist chair and she showed me how to apply the aftercare – something called tattoo goo, which basically looks like Vaseline petroleum jelly. I was tempted to switch it out for a natural alternative to petroleum jelly, but didn’t since I have no prior experience with microblading or tattoos of any sort, and don’t actually know what Tattoo Goo is made of and why. JeT’aime instructed me to apply a tiny bit of the goo morning and night for ten days, and not to get my eyebrows wet at all. This is to allow the ink to really set in. After getting my little container of Tattoo Goo I hopped on a plane to New York to stay with a good friend for a few days. She was freaked out that I microbladed my eyebrows so close to my July wedding date, but I thought it was more than enough time in advance and it turns out I was right. After staying with her for a few days she also told me that my eyebrows looked shiny, and she was right – the tattoo goop did make them look shiny. But I didn’t get any reactions from strangers when I was out in public, and it was a small price to pay for months, if not years of perfect brows. If you don’t experience any significant pain during the actual microblading session, the ten days following that session will be the hardest part. Some days will be easier than others in terms of not getting your freshly microbladed brows wet. But it is important to be careful and try to keep them away from water, and thinly coated by goop if you want the ink to last as long as possible. After a week or so my eyebrows started to smell. Bad. I don’t know if other people could smell the stench – I didn’t get any comments even from my outspoken close friend who I was visiting. But I could smell it and the aroma was bad. The smell was a mixture of sweat, dried blood and grossness. Then after a week or so they started to become itchy too. Also, little pieces of dried ink, blood, or both, I’m not entirely sure, started to fall away. Fortunately, that was only really noticeable when applying the goop, so I was still able to go about my day normally during this time. But boy was I ever counting down to the end of my ten-day sentence. My new eyebrows looked good during the entire time, but the smell, itchiness and not being able to properly wash my face got old fast. Once the ten days had passed and I was able to wash my face I was ecstatic! The smell and itchiness were gone, leaving behind nothing but realistic looking perfectly shaped microbladed brows. The colour was not as dark as when I first left the salon, which was good for me because the less intense pigmentation is more realistic for my face. But over time the individual hair strokes were no longer discernible, which was disappointing as those realistic-looking hair strokes were one of the reasons I was motivated to endure microblading in the first place. But my eyebrows did not look bad. They looked short of amazing instead of amazing. In fact, members of my own family didn’t even notice until I told them. Everyone just thought that I had shaped my brows. I am confident that JeT’aime did as good a job with my eyebrows as humanly possible. That, combined with the fact that I now have visible eyebrows all the time, even in impromptu pictures, makes microblading an extremely worthwhile expense and procedure for me. Being able to wake up, wash my face and go, and still look semi-put together is priceless. After everything had healed and settled I noticed a few minor imperfections. I also wanted my brow shape to be slightly thicker. So against my better judgment I scheduled the follow-up appointment two months later, in April 2017. Having learned my lesson the first time, I took a painkiller before my follow-up appointment and it helped. The process was still painful, but not as excruciating as the initial session. I didn’t notice a substantial difference after this second appointment as I did with the initial session, but I’m glad I went because it allowed both me and JeT’aime to clean up some minor imperfections that were bothering us. Yes! Microblading my eyebrows was a fabulous decision that I would make again in a heartbeat. Sugar and Spice Salon used to charge $700.00 for microblading, but their website now says the price is $500.00, with the goop and follow-up appointment included. This seems to be in-line with prices I have seen for other salons throughout the United States, with the most expensive being $1,600.00, for a salon in New York City. Etiquette rules say you don’t have to or aren’t supposed to tip salon owners who perform services for you, but apparently that rule is changing. Regardless, I also tipped JeT’aime after the first session because she spent so much time and really did an excellent job. Considering the one to three-year expense of waxing or threading your brows, and then buying products to fill them in, the cost I paid for microblading, tip included, was completely reasonable, albeit a lot of money to cough up for your eyebrows all at once. But since having my brows microbladed I have only filled them in once, and that was for my wedding day. Then again, I tend not to wear a lot of makeup anyway. But if you regularly maintain and fill your brows, or wish that you had the time to do so, there just might be some cost savings for you in microblading. Now that I am eight months post my initial microblading session I can easily say that I am very happy I endured the pain to once again have eyebrows on a permanent, full-time basis, and fully intend to maintain them for as long as possible. Have you had microblading done to your eyebrows? If not, do you plan to? Or do you just want to comment on the epic coolness of the name “JeT’aime”? I mean seriously, what other name could you give your child so that no one could ever curse them, because in the same breath the person is saying that they love them? That is what I call perfection in naming! Whatever is on your mind, let us know in the comments section below. Gail, yes. That has been my experience. But I am happy with the end result.